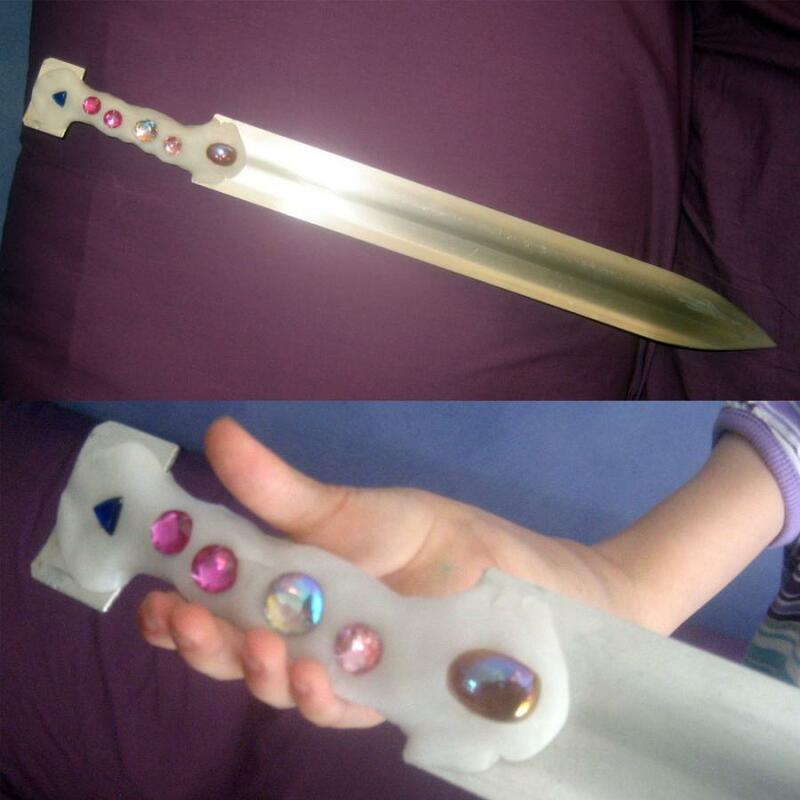 Talia and her Dad made a bejewelled hilt for her fairy sword. It took them less than 20 minutes to make. 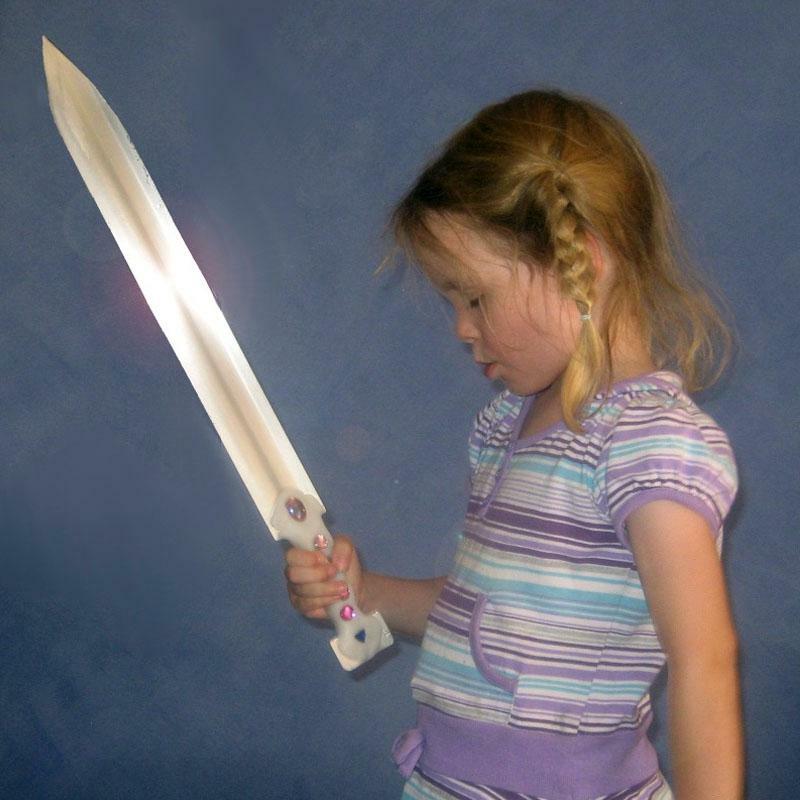 I helped my daughter Talia make a grip for her fairy sword (I made the blade and tang). It was shaped and the gems where stuck in by her (she is 5). We then superglued the gems in once the Plastimake had cooled. The whole thing took under 20 minutes, and she was off and playing with her bright new sword.